★PhotoGrid allows you to combine ordinary photos into worth-share photo collages; you can decorate your pics by applying filters, adding stickers and text. PhotoGrid is a free collage app that lets you combine multiple photos into one large photo. The app has a built-in text tool that allows you to add captions. 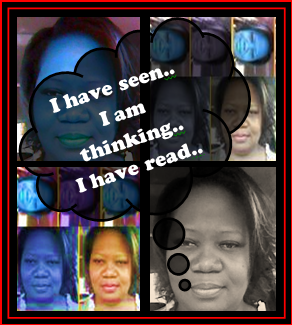 Use the collage maker to create a collage that showcases four of your favorite books. Gather pictures of the books. Either take photos of the covers or find them online and save them. Open PhotoGrid and click the + to create your collage or grid template. You can change the layout as well as the background. Adding text requires that you tap on the T – Text. Type your message, and play with the fonts, color, and highlight to your satisfaction. Pinch objects with two fingers and make the caption box smaller, or open fingers to enlarge. Drag your caption to the desired spot. Click next and then save when you have personalized your collage. Upload your collage to your blog and complete your reflection. PhotoGrid is a great tool for students to use to create posters, collages, photostories, and collections of images with text. Students can create collages about the current unit of study, favorite movies, or books. Have students take pictures along the inquiry process and collage them to create a reflection. Students can also join photos to represent degrees of a concept (whisper, speak, shout or drizzle, rain, thunderstorm), to recommend books or represent a single idea visually. 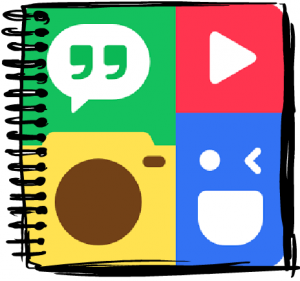 PhotoGrid is great for you to share what your students are working on in class. Complete a reflection blog post about your experience. that describes your experience. Tag your post as #TchrScolrs and share your work so that we can all celebrate your creation. Posted on March 9, 2017 by Ms. B.. This entry was posted in Blogging, Web and Wiki Tools and tagged #TchrScolrs. Bookmark the permalink.